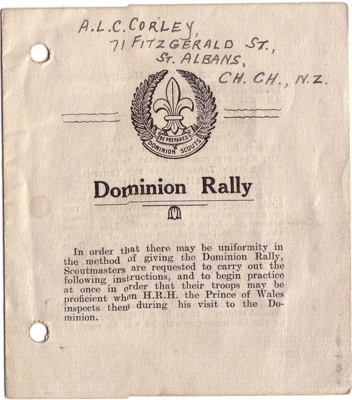 A booklet of instructions for drill and behaviour required of the Scouts attending the Dominion Rally during the prince of Wales 1920 visit to New Zealand. 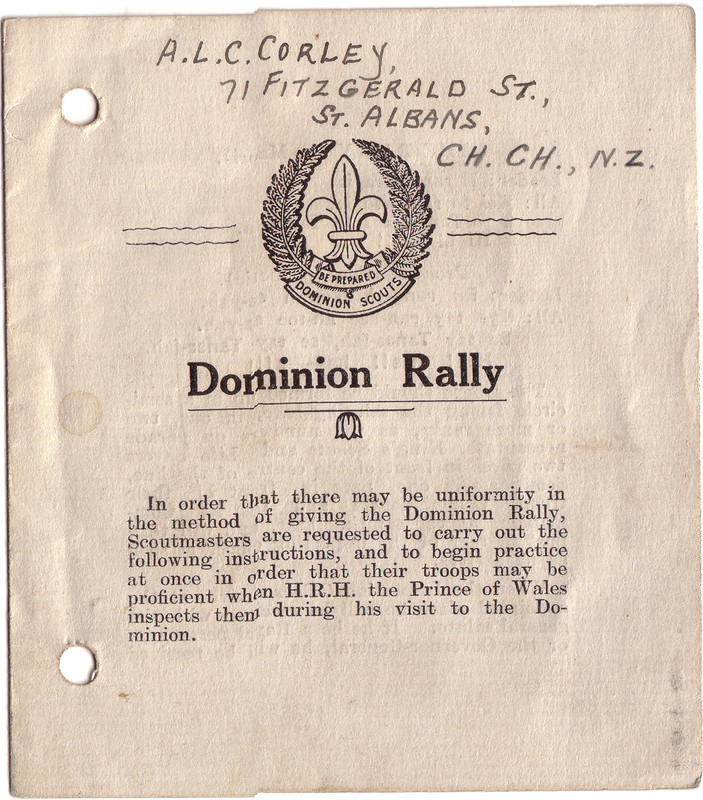 Booklet was issued so Scoutmasters could practice with their Scouts and that there was some "uniformity in method". Booklet does not state ann author but likely to have been Col. Cossgrove.